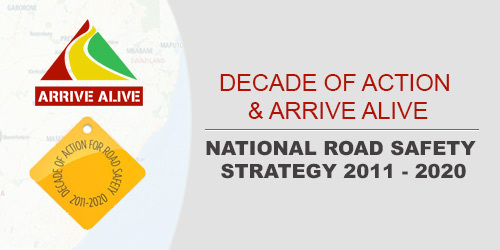 It is our privilege as the Arrive Alive.co.za Road Safety website to be part of the efforts to increase road safety awareness during the next decade. With this in mind we would like to share information about this initiative and share information provided by the World Health Organization. 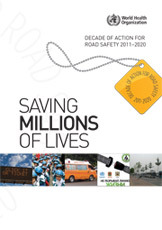 On 2 March 2010 governments around the world took the historic decision to increase action to address the road safety crisis over the next ten years.  The UN General Assembly resolution proclaiming a Decade of Action for Road Safety 2011-2020 (A/64/255) was tabled by the Government of the Russian Federation and cosponsored by more than 90 countries. 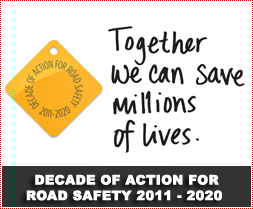 The Decade of Action for Road Safety 2011-2020 aims to save lives by halting the increasing trends in road traffic deaths and injuries world-wide. 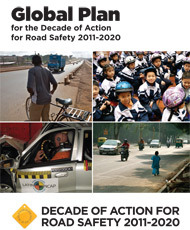 Through the Decade, Member States, with the support of the international community, commit to actions in areas such as developing and enforcing legislation on key risk factors: limiting speed, reducing drink-driving, and increasing the use of seatbelts, child restraints and motorcycle helmets. Efforts will also be undertaken to improve emergency trauma care, upgrade road and vehicle safety standards, promote road safety education and enhance road safety management generally. 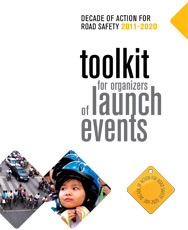 This recent initiative comes on the heels of the First Global Ministerial Conference on Road Safety, hosted by the Government of the Russian Federation in November 2009. The "Moscow Declaration" issued by ministers and senior officials from 150 countries underlines the importance of protecting all road users, in particular those who are most vulnerable such as pedestrians, cyclists and motorcyclists.